On May 9 free admission to Erarta museum will be provided to several categories of citizens. On May 9 Erarta will operate as usual, from 10:00 to 22:00. You will see such interesting projects as op-art of the legendary Victor Vasarely, exhibition dedicated to the 100th anniversary of the beginning of World War I and many other events. former prisoners of concentration camps, ghettos and other places of forced imprisonment, created by the Nazis and their allies during World War II. 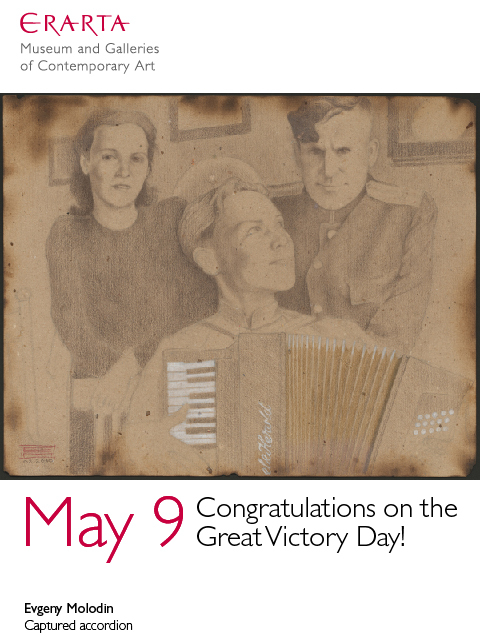 We congratulate you on the Victory Day and we are looking forward to seeing you in our museum!